WE provide video of many styles. Documentary work or fun work (Family style). 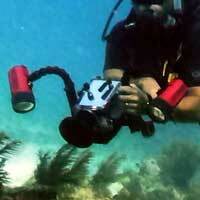 WE can document working sites or family fun on the REEF relaxing, diving, and enjoying what our ocean has to offer. WE offer PADI Dive Training from Open Water Diver to Master Scuba Diver. We also provide Specialty Certifications for Continuing Education. 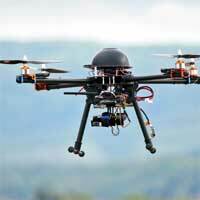 WE can Provide TOURS (Above and Below) depending on Certification level and number of persons in the group. There is much to see in the Keys. 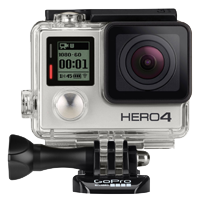 GoPro (4) with lights filters , etc. 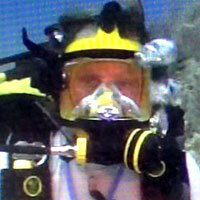 Full Face Masks (FFM), Guardian FFMs, Buddy Phone, SBS 2010 X-ceiver and underwater audio possibilities are available if needed. 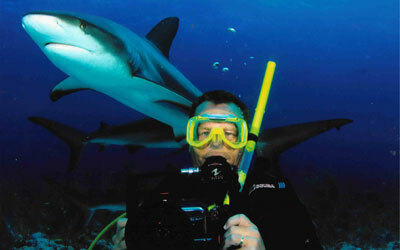 I'm Gus Sims owner of Finz Underwater Video and have a great appreciation for our oceans and all things within. I am a PADI Master Scuba Diver Trainer (MSDT). I want to do my part to give back and help save our oceans and reefs. Future generations to come. I have 38 years in the BROADCAST TV BUSINESS and am a NATIONAL EMMY Award winning photographer and UNDERWATER Videographer. I enjoy spending as much time as possible on the ocean. I am also a Shark Conservationist, Coral Outplanter and LIONFISH killer, among other things. I love ADVENTURE and documenting it, whether it be documenting a family day on the REEF or spending the day Outplanting Coral or looking for sharks.